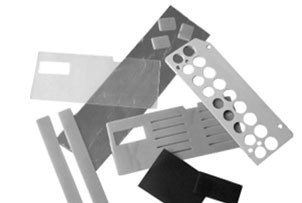 Punching parts, foils and compounds for dispensing or coating with high heat conductivity for heat dissipation in electronic and electrotechnical devices by inserted foils or for dispensed heat conducting dispensation – or sealing compounds. 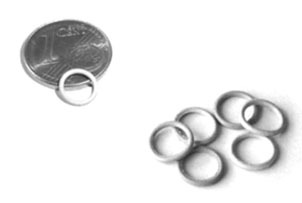 Customized rings, in small and wide crosssections and diameter. Without inside burr. 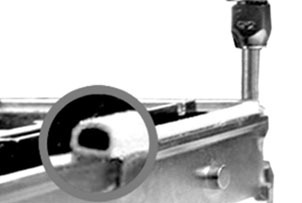 For elastomer shielding as sheets, extruder products or moulded parts according to your drawing or catalogue. 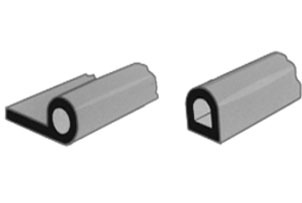 For shielding coated elastomers as extrusion material or moulded part in accordance with your desire. Costeffective also with large cross sections, high conductive surfaces for the utilization of the skin effect. Excellent softness for easiest deformations. 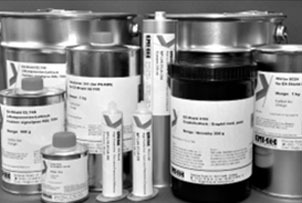 ability of cost reductions for surface treat- ments by using corrosionpassivated fillers. Die-cutted parts acc. to your to your drawing. 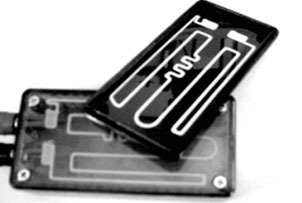 Multifunctional heating concept especially for displays and sensors. The heating path is applied directly on the surface. Combined with the special EMI-tec material allows this the placement of the heating system on nearly every surface and shape. 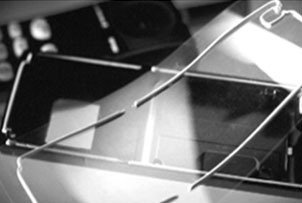 Even convex and concave molded polycarbonate parts can be heated directly. The system is extraordinary flexible. The heating circuit will be arranged acc. to your needs. 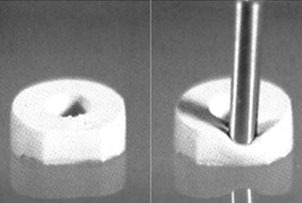 FIPG with a soft nonconductive inner core covered by electrical highconductive material. 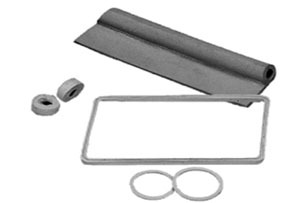 Excellent suitable for big gasket dimensions at lowest costs and forces to compress. 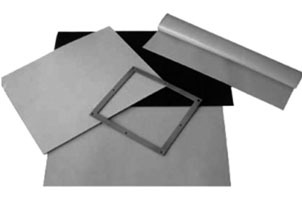 Sealing material which allows for effective EMI shielding at very low closure forces. 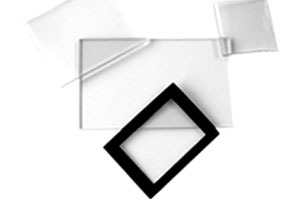 The combination of high deflection under compression and exellent electrical conductivity make Soft-Seal an ideal gasket for housings whose design allows only minimal closing force. 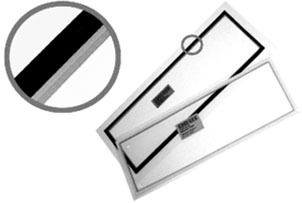 Dispensed gasket at carriers with openings (i.e. polyester foil) reduces logistical costs (i.e. for transport, special trays) to a minimum, because it isn’t necessary to ship the parts. 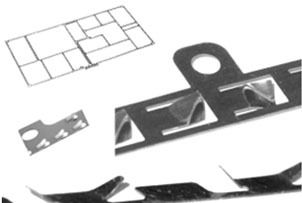 Micro gaskets are designed and manufactured according to your drawing and could be assembled by yourself exactly. 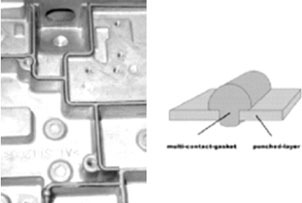 Combination of conductive metallization and dispensed HF-gasket. 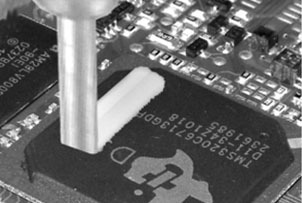 Dispensing or coating in/at electro technical applications with high thermal conductive materials. 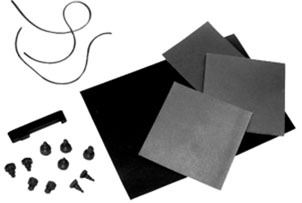 High-conductive for contacts, shieldings, high-resistant for static derivation different resin bases for different surfaces. 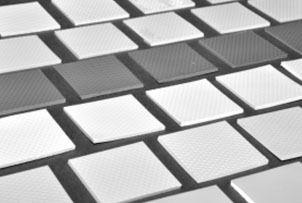 Customized solutions for safe transparent RFI-EMI and ESD shielding of displays, instruments as well as other indicating and control surfaces in glass or plastic by PVD/CVD treatments or other coatings. 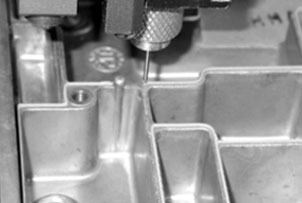 Sheets-, section-, or moulded parts, as well as FIPG available. For the absorption of HF-sources. 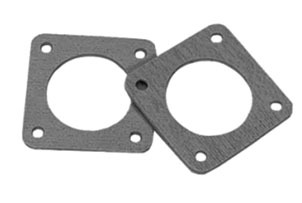 Etched spring gaskets made of stainless-steel, which we manufacture acc. to your drawing. 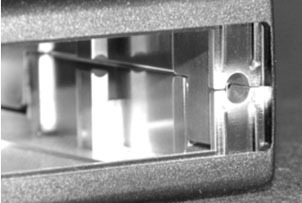 EX-Spring are professional used in i.e. base stations. 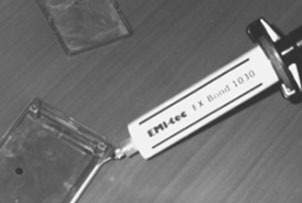 EMI-tec produces according VDA 6.3.